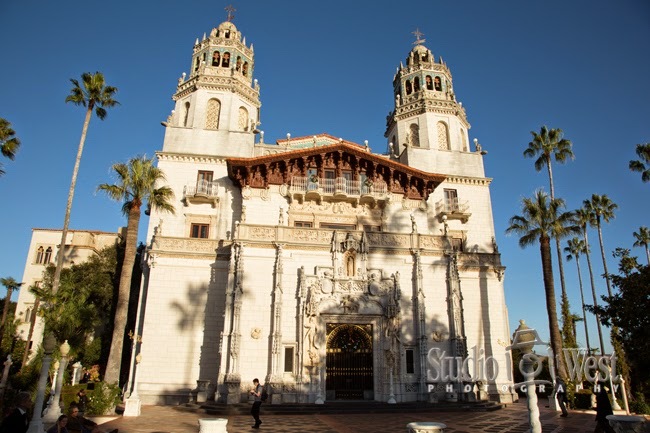 Hearst Castle is the ultimate wedding venue. 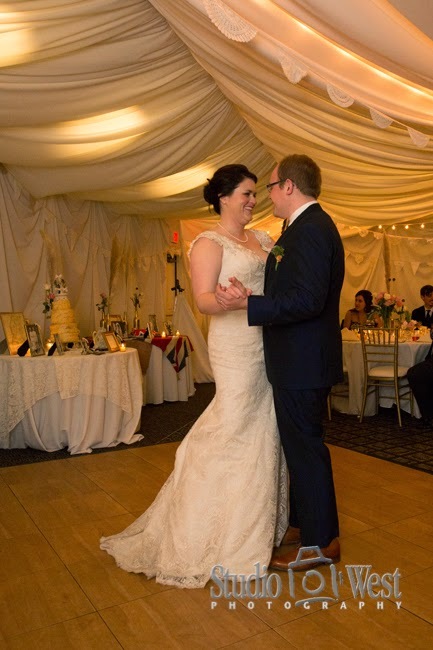 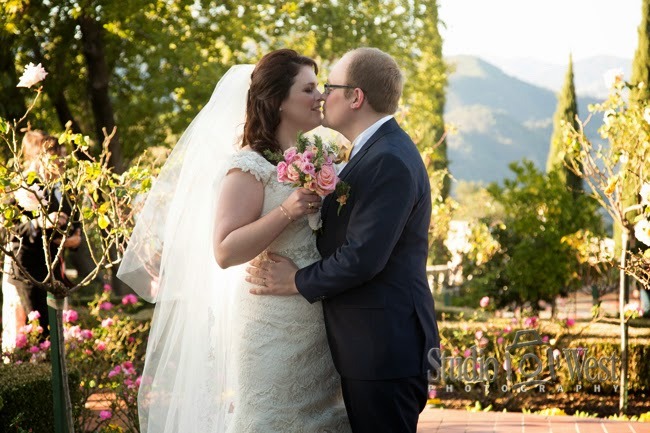 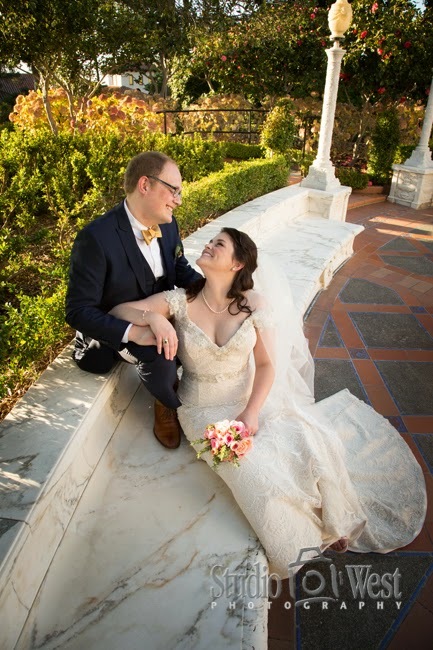 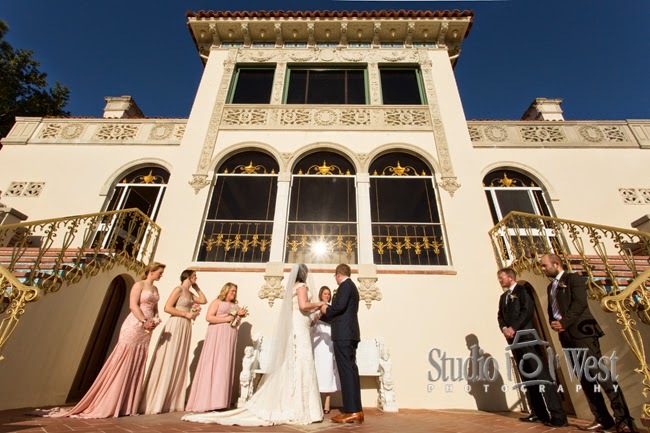 Weddings don't happen every day at the castle and this lovely couple had the grand fortune of exchanging their vows on the luxurious back patio of the castle's Guest House A. 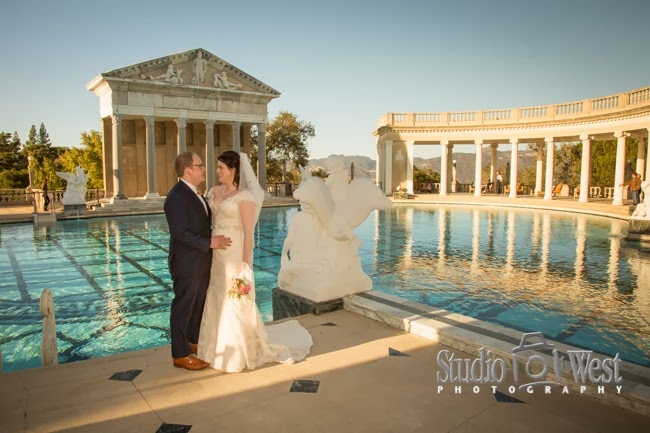 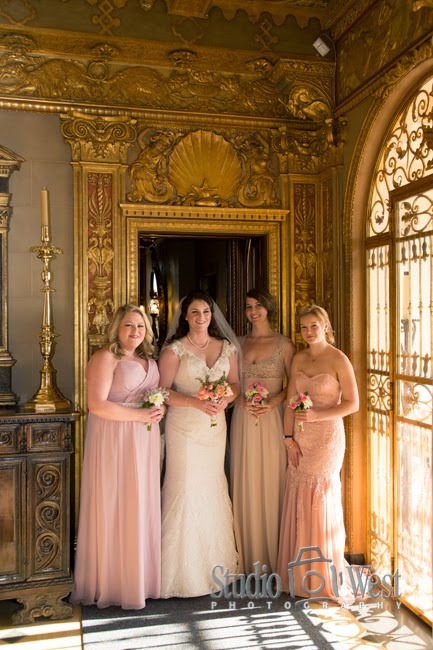 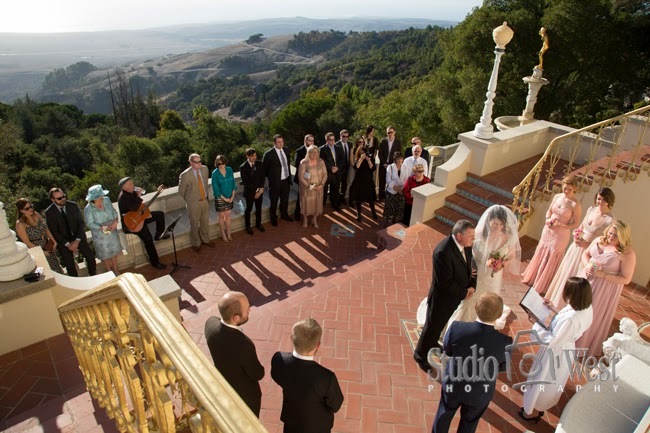 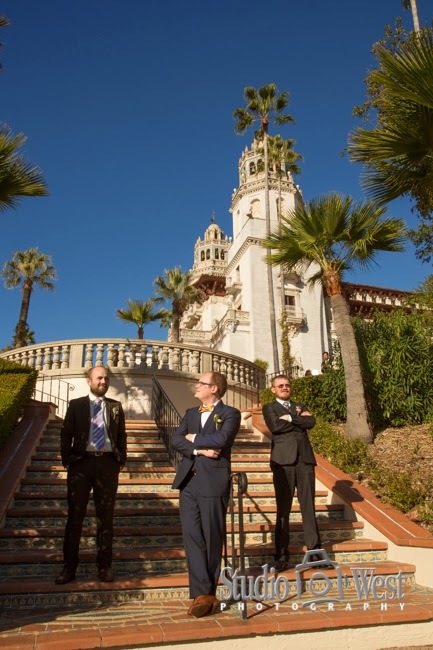 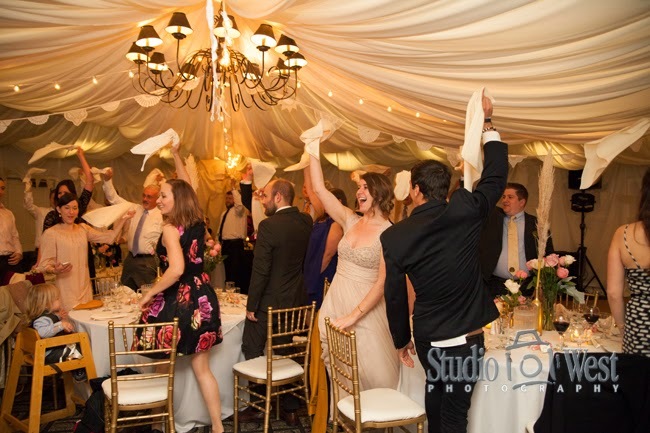 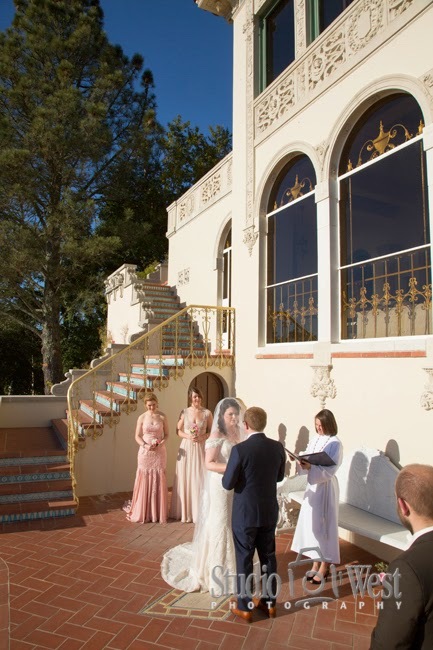 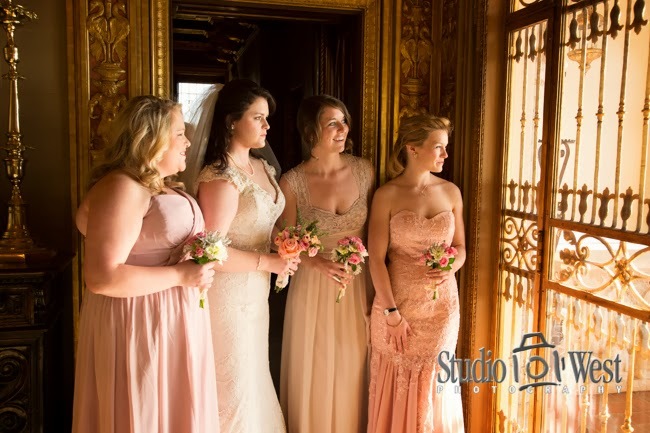 This was a small, intimate affair with guests standing, overlooking the beautiful San Simeon coast. 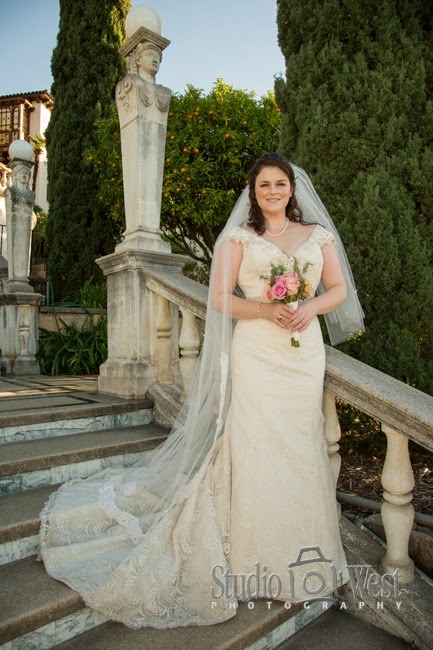 The reception took place down the hill in Cambria, CA at the Cambria Pines Lodge. 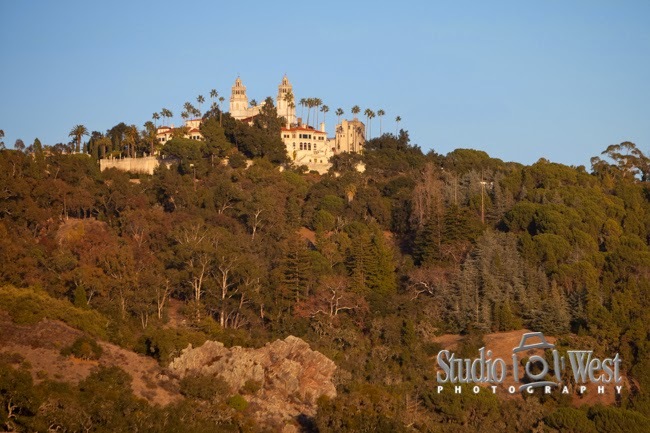 Hearst Castle sits majestically above San Simeon.